"Obviously we wanted more years," said Charmaine Edwards, Jordan's step-mother. "This is a start for us and we can get some kind of closure." Of the sentence, Charmaine Edwards added that Oliver, "can actually see life again after 15 years and that's not enough because Jordan can't see life again." "The beautiful thing about his sentence is, because he received over 10 years, he will not be eligible for an appeal bond," Dallas County District Attorney Faith Johnson said. "So, he will start serving that sentence today. I’m quite certain that the defense, as the judge indicated, has already submitted its certification to appeal this case, but we feel very comfortable about the verdict and feel very comfortable about the case we put on." Oliver's legal team said it gave notice of appeal after the jury's verdict because they believed errors were made during the trial. 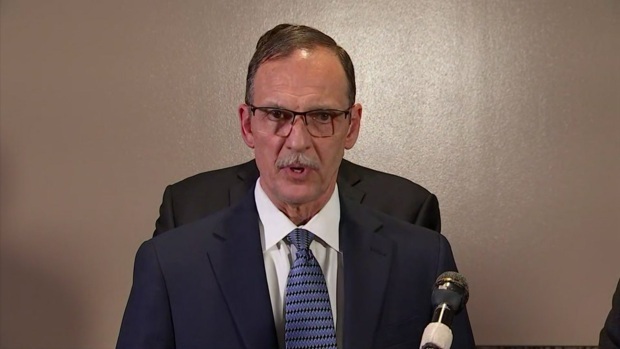 "I think what we want people to take from this is that anytime a police officer is called upon and forced to exercise his deadly force option, it’s a tragedy for both the officer and the family of the deceased involved," Bob Gill, Oliver's attorney, said. "We have two families who have been deeply affected by this tragedy, we heard from both of them in the courtroom today." 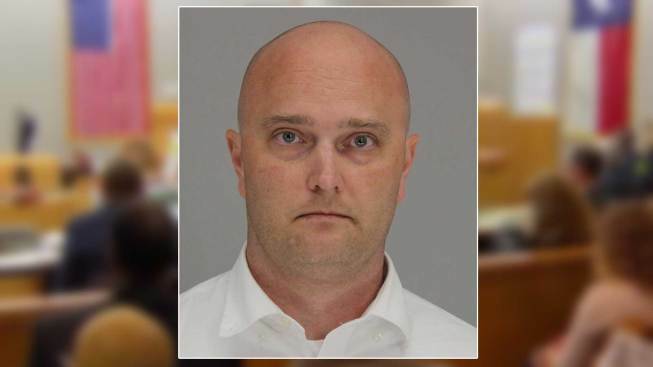 Roy Oliver's legal team spoke after a jury handed down a sentence of 15 years in prison and a $10,000 fine for the murder of 15-year-old Jordan Edwards. After two days of testimony, prosecutors asked jurors to send Oliver to prison for at least 30 years. The defense told the jury the murder was a crime of passion, and asked for two to 20 years. Edwards was killed when Oliver, a Balch Springs police officer at the time, fired into a car full of black teenagers as it drove away from a house party. The jury sent two notes to Judge Brandon Birmingham during sentencing deliberation. The first asked the judge what would happen if jurors could not come to a verdict, after which Birmingham told them to keep deliberating. The second note asked the judge who the fine would be assessed to -- Oliver's family, the state or someone else. Birmingham responded by saying the jury already had its instructions. In a rare guilty verdict in a police shooting case, the Dallas County jurors were not swayed by Oliver's claim that he feared for his partner's life when he fired into the vehicle. His partner told jurors he didn't fear for his life. The defense started to bring witnesses to the stand Wednesday, including Roy Oliver's mother, Linda. She testified that her family was shattered when Oliver's 3-year-old son, Tab, was diagnosed with autism. She asked the jury to consider the minimum sentence of five years, so Oliver could still be in his son's life. "But consider his son … he doesn’t need – my son was raised with a father in prison and deservedly so. That man deservedly needed to be in prison. And I know how hard it is to be a single mother," Linda Oliver said. Oliver's common law wife also asked for leniency, through a translator, saying she would struggle to care for their special needs son without Oliver. "Very good man. Very good husband. And the best father my son could ever have," said Oliver's spouse, Ingrid Llerena. Near the end of testimony on Wednesday, the state called a surprise rebuttal witness, Oliver's half-sister, Wendi. She testified that she wrote a Facebook message to Edwards' mother to say she hopes Oliver goes away for life. "I sent her a message saying I hope that justice is served in this case and I hope he gets what he deserves because he took an innocent life," said Wendi Oliver. 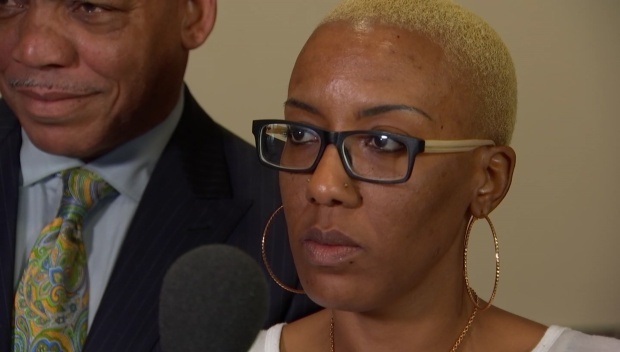 The mother of Jordan Edwards, Shaunkeyia Stephens, spoke outside of the courtroom Wednesday morning sharing her thoughts on her son and the trial. Two Balch Springs patrol officers also took the stand Wednesday on Oliver's behalf. Balch Springs Police Chief Jonathan Haber released a statement Thursday that said, in part, "There isn't anyone in our department or the community who has not been impacted by this tragedy or doesn't wish there had been a different outcome that night. Nothing that we can say as a police department will provide comfort or closure to the Edwards Family." The statement also said the department won't allow one tragic incident to define their department and relationship with the people they serve and protect. On Tuesday, gasps echoed around the courtroom as the guilty verdict was read. Edwards' relatives sobbed and hugged prosecutors, waved their hands in the air and proclaimed "Thank you, Jesus!" after the jury left. His father, Odell Edwards, briefly spoke outside the courtroom before he went back in to begin listening to the sentencing phase of the trial. He said he was thankful for the decision of the jury -- which featured two black members out of 12 jurors and two alternates -- and felt like jumping for joy. "I just want to say I'm happy, very happy," he said, adding that it's "been a long time" since he felt that way. Jurors later heard from Edwards' father when he testified during the sentencing phase of the trial. He told them his son always had a smile on his face and dreamed of playing football at Alabama. Oliver and his patrol partner were responding to a report of underage drinking at the house party. Police initially said the vehicle backed up toward officers "in an aggressive manner," but later said that bodycam video showed the vehicle was moving forward as officers approached. Oliver was fired just days after the shooting. Experts said it's extremely rare for police officers to be tried and convicted of murder for shootings that occurred while they were on duty. "We believe this is historic," Johnson said. "We have not had a guilty verdict for the shooting by a police officer (in Dallas County) since 1973." Only six non-federal police officers have now been convicted of murder in such cases -- and four of those were overturned -- since 2005, according to data compiled by criminologist and Bowling Green State University professor Phil Stinson. Stinson, who tracks such cases nationwide, told The Associated Press on Tuesday that to secure a murder conviction, the facts of a case have to be "so over the top and bizarre" that the officer's actions can't be rationally explained. Experts also said that securing a conviction against an officer is often a challenge because jurors are inclined to believe police testimony and criminal culpability in such cases is subjective. Oliver was found not guilty on two lesser charges of aggravated assault stemming from the shooting. Jurors deliberated for two days before reaching the verdicts. The sentencing phase stretched into the evening Tuesday before jurors recessed for the day. "This was a long fought battle," said Daryl Washington, an attorney representing Odell Edwards in a civil lawsuit filed in the death. "We are just happy ... that Roy Oliver is gonna have to do his time for taking Jordan's life. What he did on that night should have never happened." In closing arguments, defense attorneys told jurors they needed to evaluate the circumstances from Oliver's viewpoint and from what the former officer knew at the time. But prosecutors described Oliver as out of control and looking for a reason to kill. They argued that his firing into the car wasn't reasonable. Oliver told the jury the car was about to hit his partner. Oliver said he felt he had no other option but to fire. 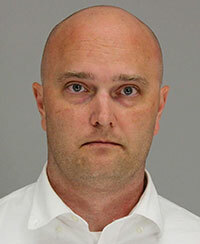 Gross, however, testified that he did not fear for his life and never felt the need to fire his weapon. He also said he didn't feel like the vehicle was trying to hit him. Prosecutors said Oliver fired after the vehicle passed Gross. Investigators also said no guns were found in the teens' vehicle. Prosecutors, meanwhile, are considering whether to pursue pending assault charges against Oliver. The jury acquitted Oliver on two charges of aggravated assault stemming from the shooting, but he faces two further aggravated assault charges tied to the same incident. Dallas County prosecutor Michael Snipes said the county attorney general's office also still needs to decide on assault charges related to an incident two weeks before the shooting. Oliver is accused of pointing a firearm after being rear ended. The Dallas County sheriff's department says Oliver is in protective custody at the Dallas County Jail. The head of Dallas' largest police union said due process was followed in Oliver's murder trial and conviction. Sgt. Michael Mata, president of the Dallas Police Association, said Thursday that a large percentage of police officers thought Oliver committed a crime by firing into the car, but that there was debate over whether it amounted to manslaughter or murder. Mata said the police "have a responsibility to the public to do the right thing" and that fair judicial decisions help build trust with the community.